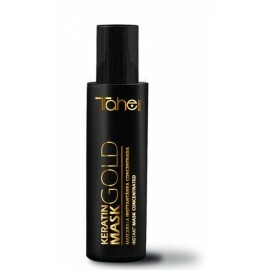 Tahe offers a wide range of products that consumers demand within the cosmetic industry.Tahe's complete lines strike a refined balance between high quality and reasonable prices. 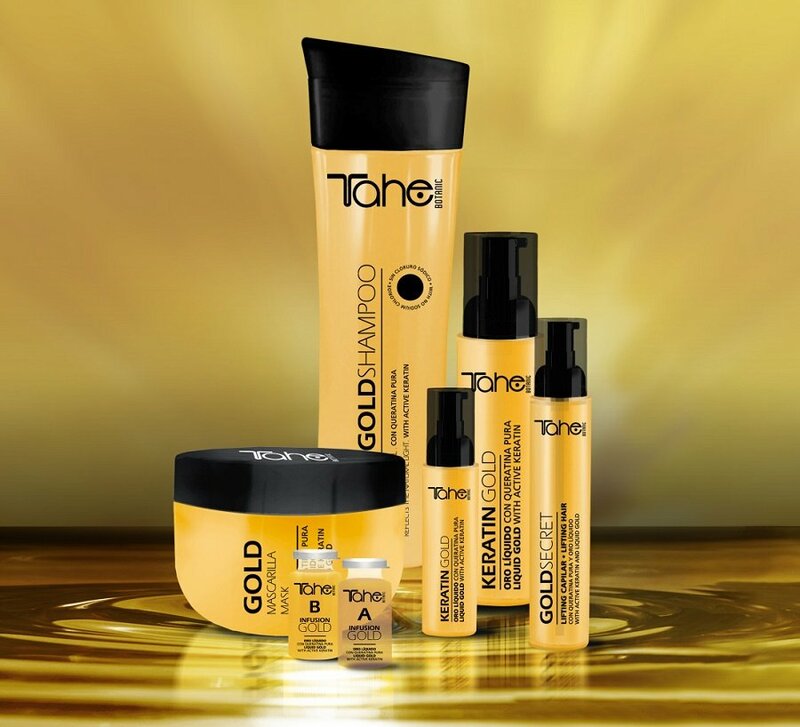 Within the industry, Tahe's collection remains in the higher middle sector of the industry. Hydrates and re-thickens hair Concentrated hair mask with liquid gold, keratin, vitamin E .. 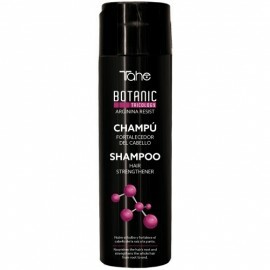 The Gift Set consists of the following products: TAHE BOTANIC BENEFIT SHAMPOO 300ML Shampoo wi..
Light spray with UV protection containing the active keratin and argan oil. Protects hair from the h.. SOLAR POST-repair treatment with Keratin pure and liquid gold. 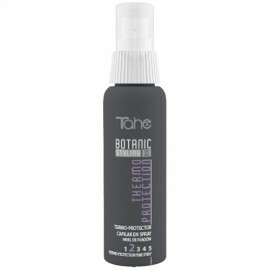 Keratin Treatment ultralight and l..
A conditioning emulsion with active keratin and argan oil. 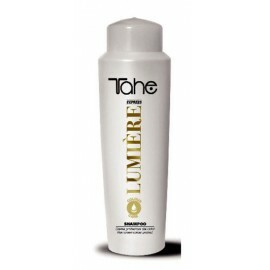 Ideal for damaged, stained and sun-expose.. 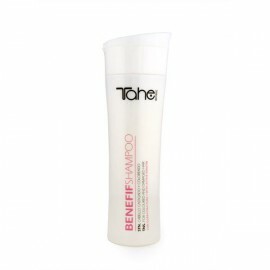 Gentle shampoo with UV filter and protection of color that gives hair softness and volume, due to th..
Shampoo with active keratin With active keratin and active vegetable mother cells. 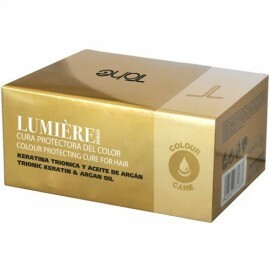 For coloured..
With pure keratin and liquid gold. 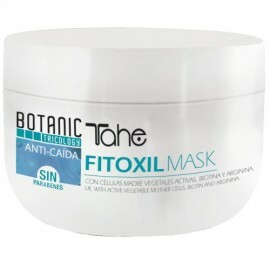 Regenerative treatment mask. Strengthens and protects coloured.. 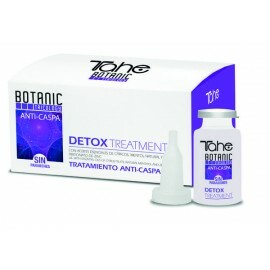 Lifting treatment for hair with liquid gold and pure keratin Innovative and effective s..
Intense thickness, regeneration and nourishment for hair Elixir for hair, with Liquid gold and ..
Fortifies the hair’s fibres from within, by reconstructing the keratin chains and repairing th.. 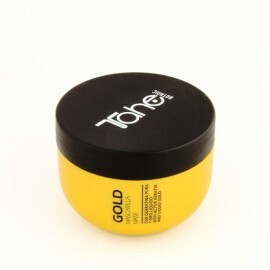 Concentrated hair mask with liquid gold and keratin 125ml = 1Kg For instantaneous effects. Give.. 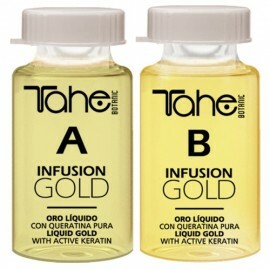 Liquid Gold with keratin, active plant stem cells and argan oil. 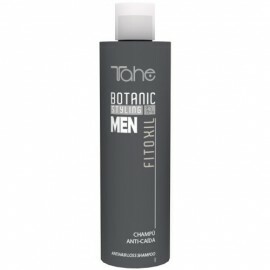 Combats signs of age, reinforcin..
Ultra-light cleansing formula for incredible silkiness, softness and volume. Leaves your hair manage.. Intensive restructuring treatment. Thermal nutrition system that creates natural light. Intensive..
TNS thermal nutrition system. With active keratin and active vegetable mother cells. Any hair type. .. 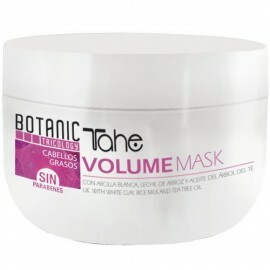 Mask With active keratin and active vegetable mother cells. 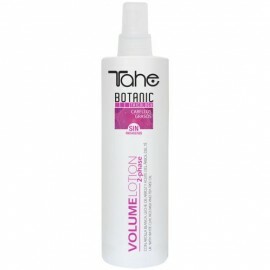 Intensive nourishing treatment with ther..
An anti-hair loss lotion for thinning hair. Apply daily to the roots, in the morning or before..
A daily shampoo for thinning hair, with the combined ingredients of vegetable mother cells, glycans,.. Body, hair and face A gentle cleansing formula for the hair and scalp, ideal for untidy hair th..
Strong and flexible hold anti-humidity gel, With active keratin and active vegetable mother cells. 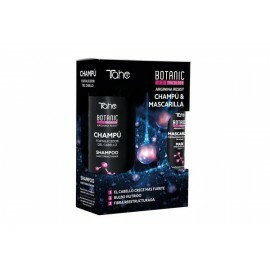 I..
Thermo-protection spray ideal for reducing damaging effects to hair caused by hairdryers and straigh..
Tahe Arginine Shampoo 300ml + Arginine Spray Mask100ml ARGININE SHAMPOO Arginina res.. 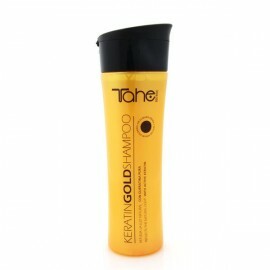 Highly effective anti-dandruff shampoo, to eliminate excessive flaking of the scalp. Itching, sensit.. Specific anti-dandruff treatment to combat excess flaking of skin from a sensitive scalp, eliminatin..
Anti-hair loss shampoo especially developed to prevent hair loss, for use as a one-off treatment or .. Strengthening mask Treatment mask to thicken the hair’s fibres. 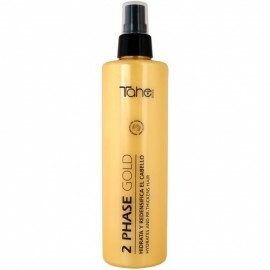 The active ingredients deep..
Spray conditioner for fine hair 2–Phase volumising lotion to replenish the hair’s str.. 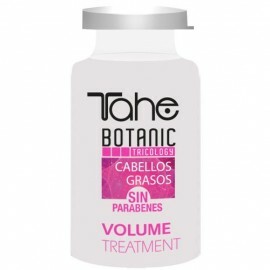 Revolutionary formula for normal to fine lifeless hair to leave it soft, intensely nourished and ful.. 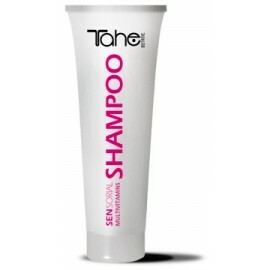 Specially designed shampoo for oily hair, to leave hair clean and full of body for longer. 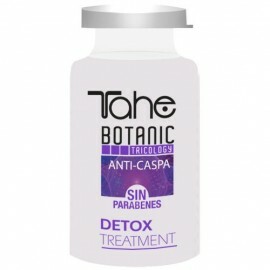 Paraben a.. 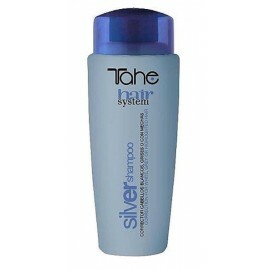 Treatment for oily scalp Balancing formula that regulates oily roots and treats damaged hair. 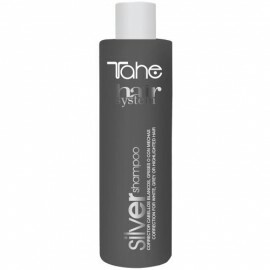 The..
Ultra-violet shampoo that eliminates the yellow tones on white hair. What is it for: All typ..
Tahe Lumiere Express Protective Cure 10X10ML Post-colour treatment with Argan Oil and T..
Colour protection cream shampoo, with Trionic keratin and Argan Oil Cleansing cream, to help dama..
Sulfate-free shampoo with valuable Argan Oil, Lotus Oil and Golden Flaxseed Oil moisturizes and nour..
THICKENING SHAMPOO MAGIC BX GOLD Thickening ultra-hydrating shampoo for the hair’s fibres. 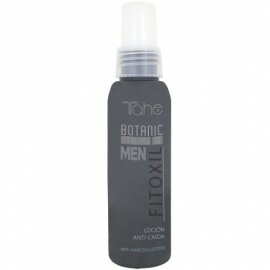 ..
Magic Efecto Botox Hair replenisher Shine, texture and conditioning. 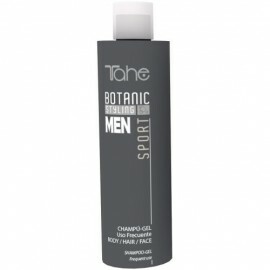 Ideal for regenerating da..
Super-strength concentrated formula spray mask for intensive action. Fusion of precious natural..
Recovery cream for flexibility and definition in curly hair. Avoids frizz, maintains defined curls f..
DRY HAIR SHAMPOO RIZOS MAGIC RIZOS Cleansing formula that intensely hydrates the hair's fib..
Styling lotion, curl definition, anti-frizz. Light spray that helps create perfectly defined curl..
​The content of salts (sulfates, phosphates), parabens, and other harmful substances - 0%! Clea.. 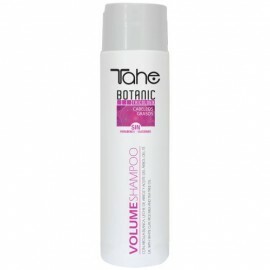 Specially formulated for dry, damaged hair to moisturise and regulate its ecosystem. Deep treat..
Vitamin cure for hair. A cocktail of vitality! Your hair suffers daily from the harmful effects o..